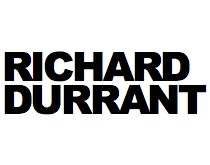 Richard Durrant’s latest musical adventure will feature the Uffington Tenor Guitar*, built in Sussex, and a six string Concert Guitar*, built in Lincolnshire and made from 5,000 year old bog oak. This show is a uniquely British exploration of unplugged, acoustic music on the folk/classical cusp. Stringhenge is as beautifully produced and richly visual as any of Durrant’s tours of recent years. Its also unplugged allowing you to hear and feel the vibrations of the wood in these incredible guitars. Durrant plays them brilliantly and is a clever weaver of intriguing tales. It’s real roots music linking the neolithic to the 21st century. The Durrant originals written for this tour draw inspiration from the hill barrows of Sussex, the flatlands of East Anglia and the mountains of Cumbria. Other pieces are chosen from eleven centuries of music with more than a smattering of JS Bach reworked from Durrant’s unique perspective. TICKETS NOW SOLD OUT Tenor Guitar by Ian Chisholm, Concert Guitar by Gary Southwell.